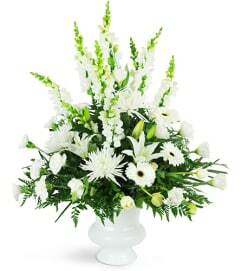 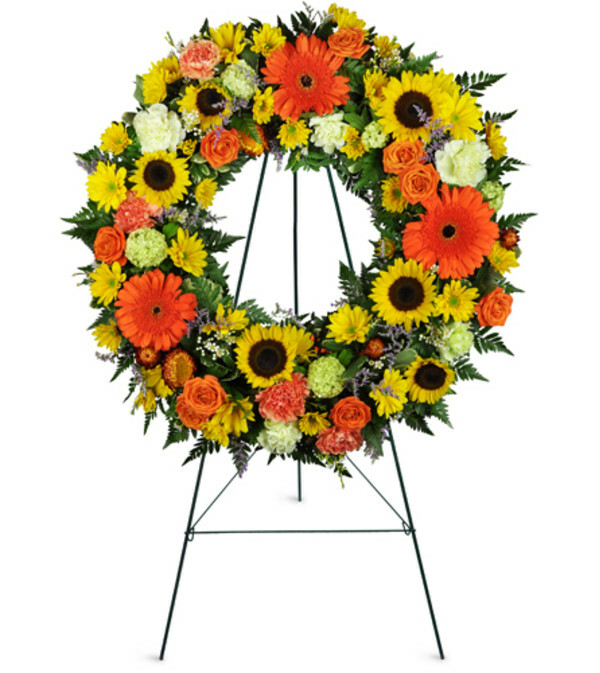 This beautiful standing funeral wreath is perfect for the departed loved one who was full of sunshine in life. 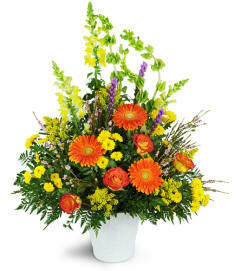 Yellow sunflowers and orange Gerbera daisies celebrate a life that was rich with warmth and love. 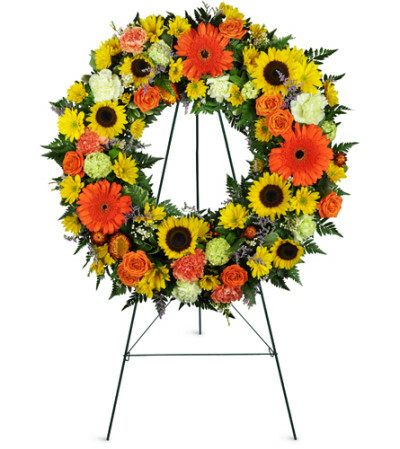 Accents of creamy white roses and carnations make this wreath a tastefully understated comfort for friends and family.Yellow sunflowers, orange Gerbera daisies, cream colored roses and carnations combine beautifully in this funerary wreath to comfort warmly at a time of loss. 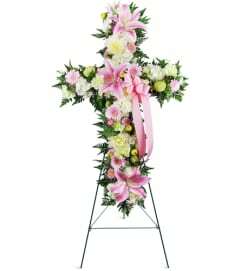 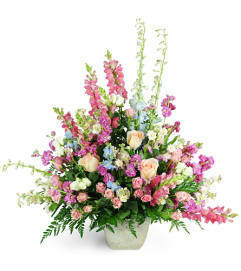 Free standing wreath is perfect for decorating the funeral home or chapel for the service.